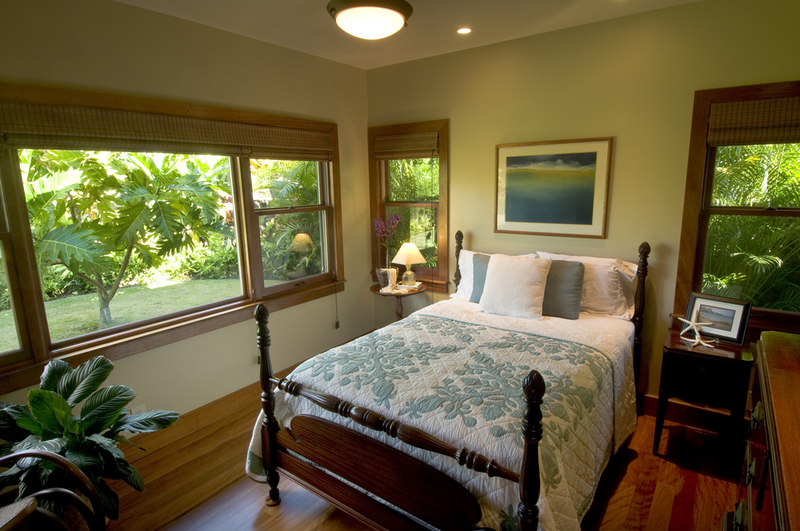 The Old Mokapu Way — Geoffrey Lewis Architect, Inc. 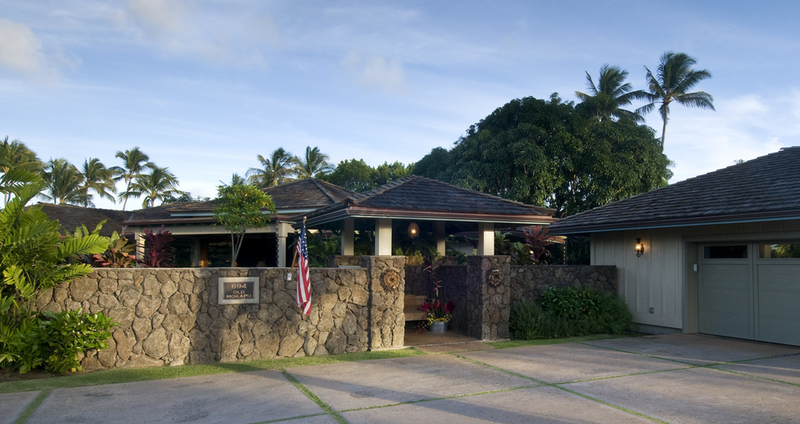 The ‘Old Mokapu Way’ is really a statement about this very casual old style Kailua neighborhood with all the charm and qualities one would expect to find at a beachside community. 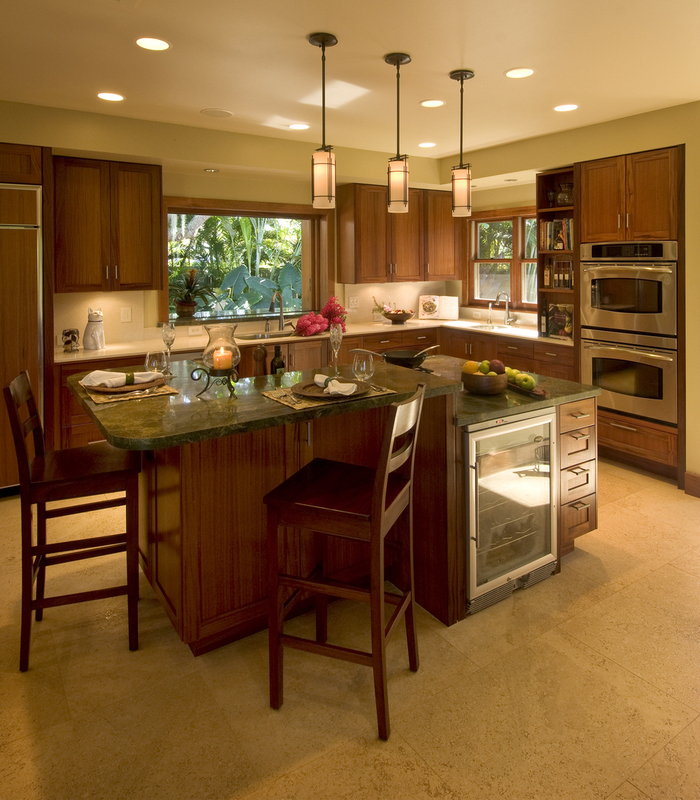 This very extensive remodel was guided by these attributes in an effort to celebrate this casual, indoor/outdoor lifestyle and development a ‘Kailua’ sense of place. The original home had very little street presence and was consumed by over grown landscaping giving no sense of arrival or entry. The properties unique street frontage afforded amazing opportunities to create neighborhood presence, a sense of arrival and procession while offering glimpses beyond of more to come. While designing the home, this unique lot configuration (pie shaped with a bite out of the corner) provided unique opportunities for both interior & exterior spaces. Pockets of discovered yard space allowed for excellent indoor/ outdoor relationships; providing areas of intimacy and privacy, vistas of visual destinations such as the ‘Bali’ inspired pavilion in the rear corner and most importantly a sense of a larger than life property. In creating an entry pavilion adjacent to the motor court, this structure became the control point for penetration into the inner sanctuary. Once entering this inner space, an experiential quality similar to traditional Hawaiian vernacular becomes realized; a very informal multi-structure living compound. With design techniques such as the hierarchy of roof forms, placement of structures and good site design & landscaping, the procession becomes very clear and distinguishes between public and private spaces. 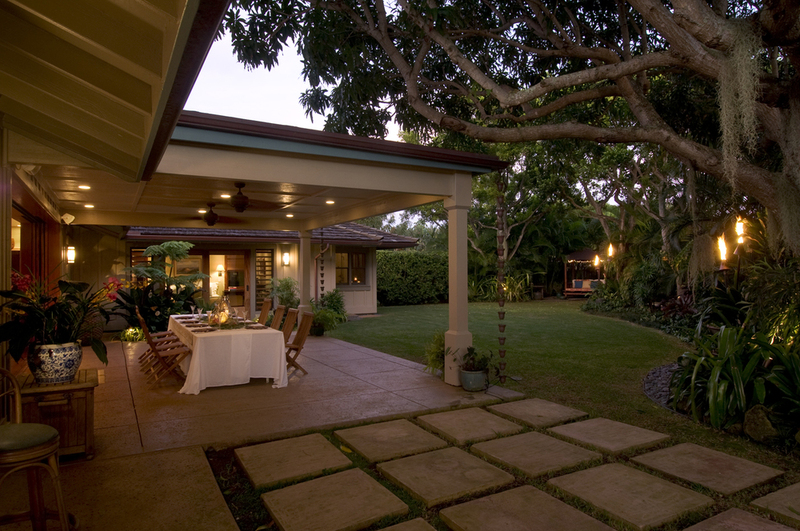 The informal great room living space with adjacent sitting porch to the front yard and covered lanai to the rear yard establish the informalities that the client desired and reflect the casual nature of Kailua. A truly wonderful place to entertain!